How to stop a dog from barking at people on walks? Well, first thing to do is determine why the dog is barking at people. The most common reason dogs bark at people on walks is due to fear. The dog could be afraid of new people or certain types of people (children, people on bikes, men, people wearing hats). 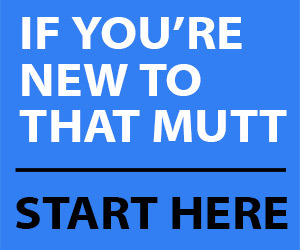 Or, the dog could simply be startled easily by new people and things in general. How to stop a dog from barking at people due to fear. Since fear is the most common reason for a dog to bark at people, let’s use that as our example. My tips on how to stop a dog from barking at people are below. I always welcome you to leave your own in the comments. If your dog is barking due to excitement, a lot of these tips should still be helpful. 2. Find a highly valued food reward your dog loves. Dry dog biscuits might not cut it. You may need to use hot dogs, string cheese, pieces of real steak or hamburger. For actual dog treats, I find that Droolers work well for most dogs. For others, a squeaky toy or a ball might work better. Find something your dog is willing to work for even under stress (but you’ll be working just outside of when your dog is normally “triggered”). Ideally, you’ll find something that can be broken easily into little pieces. 3. Use the right training collar & walk your dog at your side. The best training collar or harness will be different for each dog depending on all sorts of factors like your own comfort level, the size of your dog and what makes it easiest for you to control your unique dog. Some options include a martingale collar or a Gentle Leader. The reason the right training collar is important is so you have control over your dog and can prevent pulling and lunging. I also recommend you keep your dog at your side with little slack in the leash. This is not about being “dominant” but simply if you have your dog at your side he will be easier to control. You won’t have to “reel him in” if you come across a trigger. He’ll also generally be calmer if he’s at your side and less likely to be out in front ready to “protect” you. 4. Work with your dog on basic commands within her threshold. Head out for a walk with your dog using your dog’s training collar and treats. Seek out her “triggers” but stop just far enough away so she doesn’t bark or react. Shower her with the treats. Then, TURN AND LEAVE before you get close enough to trigger a reaction. The goal is to change her emotional response over time. – Make sure you do not rush your training. Very slowly increase the challenge over several weeks. – Enroll in a group obedience class so your dog learns to work and focus on you around distractions. The controlled environment with understanding people is helpful! – Work on obedience training in general. This builds confidence and trust. 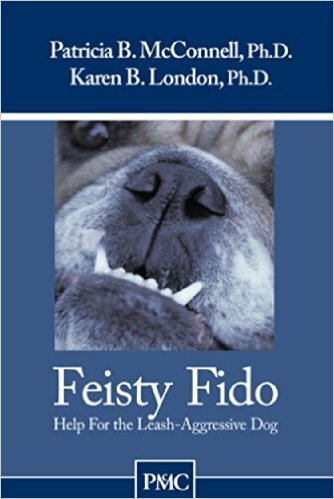 – Order the book Feisty Fido by Patricia McConnell. It’s a short little book that goes over a desensitization guide in detail in a step-by-step format. Such a simple concept (a little more challenging to actually do) but oh so helpful! I highly recommend it. 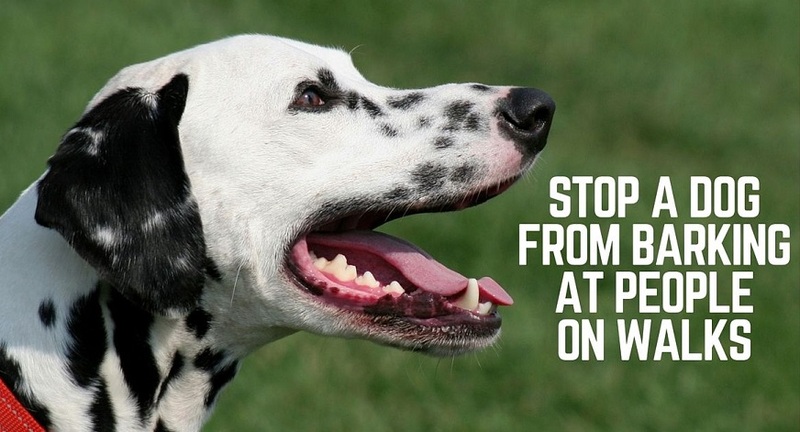 What would you add to this list on how to stop a dog from barking at people? Our dog gets excited when he sees other dogs, especially the ones barking at us behind their fences. Kuba is very friendly but to pass his Canine Good Citizen test, he needs to ignore other dogs. I started to follow the advice in Feisty Fido, which I actually got for our leash reactive foster dog. Bringing treats on the walks works great: I ask him randomly to look at me and reward for eye contact. We have a long way to go. Aww, good boy Kuba! Ignoring other dogs is so hard! Oh, and regarding the confidence building – we include some simple dog parkour on our walks. It makes the outings more interesting, it makes my dog more focused, and it makes him listen more. And he is more tired afterwards. Feisty Fido is great! I also highly recommend the “Look at that” game from Control Unleashed by Leslie McDevitt. I used that with my first dog, who was a seriously frustrated greeter on leash. It worked GREAT and so now I’ve had years of being able to walk her by other dogs with her showing interest but not getting frustrated. I am not familiar with “Look at that.” Thank you for the suggestion. Luckily all of my dogs are very friendly with people to different degrees. Raven is very hesitant. Linus is slightly hesitant. Stetson is enthusiastic. Archer is very enthusiastic. Our biggest problem is Linus barking at other dogs. For him it’s done out of fear/protection. We’ve worked with him and while it’s been better and worse we’ve never gotten him to completely stop. The “look at that” game is well worth doing! I have a crazy reactive border collie who hates everything and anyone sadly – things are slowly improving but once apon a time the look at that game & treats was all i could do to stop him trying to kill everything around! He was rescued by myself at 2yrs old so we dont really have a history – just guess work However for say the last month or so we,ve had no issuess with people – except really small children! (he hates them especially when they run) Still tries to “herd” the cars but settled alittle with bikes. Thanks for that book suggestion! I’ll have to check it out. Missy & Buzz typically only bark at people when they’re startled or really thrown off by a certain appearance. Someone in our neighborhood goes for daily morning walks wearing this huge hat for sun protection – it kind of reminds me of a beekeeper’s hat. When Missy saw the person approaching with that hat, she started barking quite a bit! She’s gotten used to it now though. Haha! Remy got totally freaked out the other day when this woman stopped and pulled a small dog out of the stroller she was pushing. He’s normally unfazed by strollers but it totally threw him off to see that dog. It really scared him! Haha. This month I have come to believe that any change is possible – my Border Collie/Great Pyr amazing young fur-girl had become so afraid of lightning and/or thunder – she could not tolerate being outside or being on the beach with even hint of storm – after July 4th – she was traumatized big-time – but in August and now – she seems to have ‘decided’ to overcome that fear – I thought we would never be outside again during any even distant lightning – but this week and last – we were able to be on the beach during major lightning storm – and she did not flee to the car – it is nothing short of a miracle – I did try to attach thunder or lightning to a training game she likes to play – but it was clearly a decision she made to overcome the fear – she is also very competitive with my first dog who does not care at all about storms – perhaps she decided that she would ‘beat’ him in this area too – whatever it is – it is wonderful and amazing. Unfortunately not useful for a dog with food allergies. Limited food options also means extremely limited treat options. While my dog likes to eat, she reaches a frenzy where food no longer holds her interest. My dog is really great about not barking while out on our walks.I can not remember her ever barking at anything outside the house.Even in the truck she don`t bark.Here comes the “but”,but when where in the garage and I have the garage door open she barks at people when they walk by.I know dog barks and her bark is guard duty bark.I have tried everything to get her not bark but she still likes to bark at people.If it`s someone she knows then it turns into a come on over here….hey dad look who`s here kind of bark.So I am starting to use treats to see if I can get her to stop 50% of the time.I do not mind her barking but not all the time.It`s healthy for dogs to bark,I just want her to ease back a little. the only time my girls bark, is when someone is coming to the house. they dont bark at them when they are in the house. they are my watch dogs. the youngest is a love bug, the middle child is not very friendly to strangers especially men. i know if someone tried to do anything to me, she would go after them. however, they are not barkers which makes me mad when people say schnauzers are barkers. it is not the dog, it is the person. i know lots of schnauzers that dont bark. some dog bark of fear or to protect their territory. i have an old pet corrector can, if i just take it out, they know to stop barking. the girls will bark when they see a car coming down the road, or a delivery truck. they will bark at someone. they stop if they come on the deck or in the house. they dont bark in public places though and never have.